PUNS offers a variety of unique educational experiences for our 4- and 5-year-old learners as they prepare for Kindergarten and the world beyond. With options that include 3-, 4- and 5-day programs, as well as extended-day options, we can accommodate your child's interests and readiness. At PUNS we truly believe that a play-based experience is the best way to prepare our students for Kindergarten. The children in our pre-K programs are enveloped in a caring and supportive environment that develops a lifelong love of learning. We foster the social, emotional and cognitive growth of each child, as well as differentiate our academic curriculum and instructional techniques to meet the needs of each individual learner. If your child is ready for a full-fledged, five-day experience or extended-day, we offer the unique opportunity to combine a cooperative preschool classroom experience with in-depth exploration into literature-based and STEAM-focused concepts that will leave your child fully prepared for the transition to Kindergarten. And, if your child is not quite ready for five days, they can still benefit from three or four days of play-based, age-appropriate Kindergarten prep, through any combination of the options below. 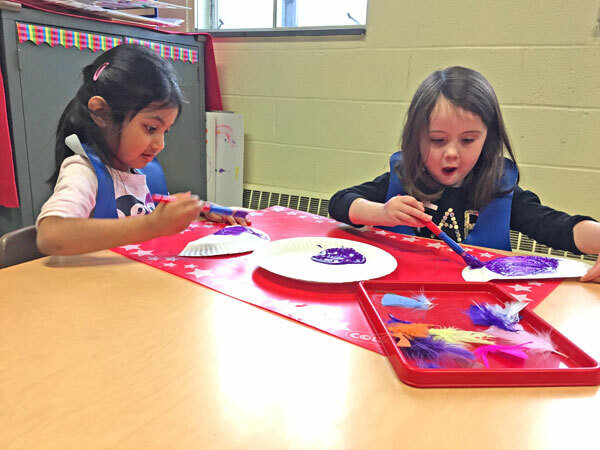 Art projects are incorporated into all of our courses, allowing students to express their ideas while also practicing their fine motor skills. During circle time, children get to listen to stories, sing songs and work on many valuable skills, including mathematical equations, patterning, name recognition and more. 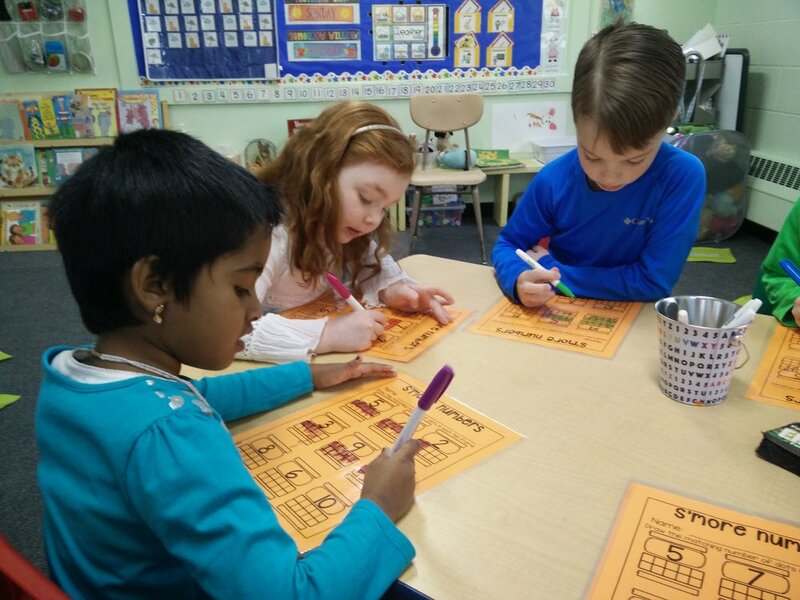 All of our pre-K students spend a portion of every day working on letter and number recognition and formation, emergent reading skills, and early math skills that will prepare them for success in Kindergarten and beyond. 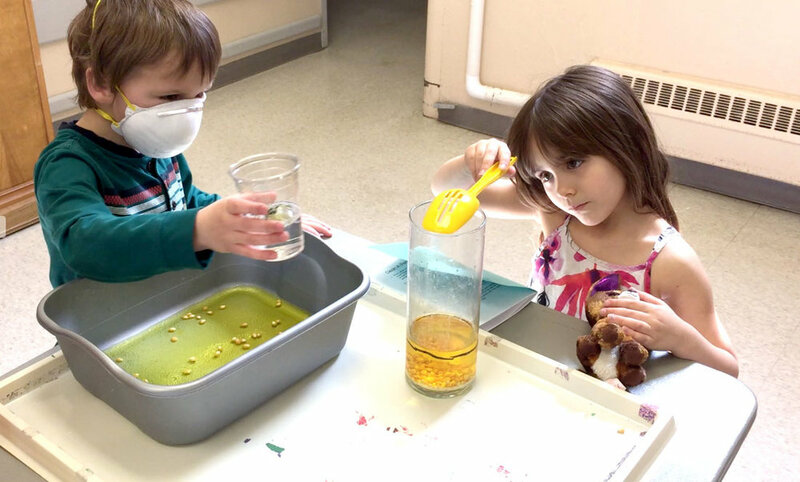 Students participate in the annual PUNS Science Extravaganza, where they showcase their knowledge of the scientific method through a series of experiments they perform with their family. 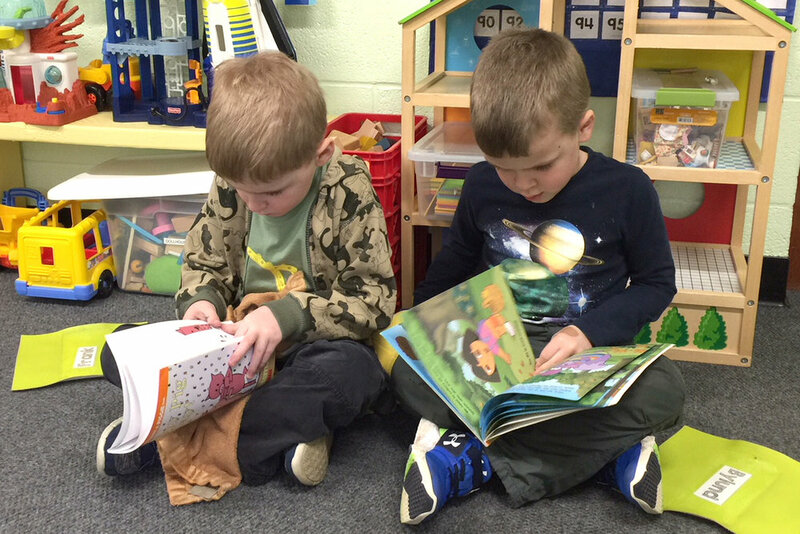 In all of our Kindergarten Readiness programs, children develop their emergent reader skills at a pace that is right for them. Students in our pre-K class examine rocks and minerals to determine differences and things that make them unique. Throughout the course of the STEAM Conductors program, students use the scientific method to design experiments, predict outcomes and test their theories. Birthdays are always a celebration at PUNS, making sure your child is honored in a unique and special way. Learning is present in every aspect of our day, even when it is disguised as “just play”. Our 5-day Pre-K class includes a maximum of 16 students with 3 teachers and a working parent. It meets Monday through Friday mornings from 9 am to 11:30 am. All students in this class must be Kindergarten-age-eligible the following school year. 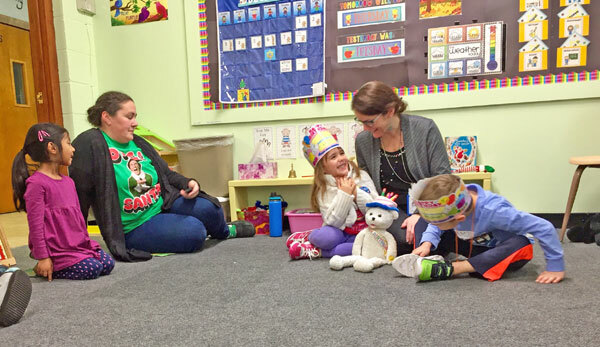 This program is an ideal setting for young 5-year-olds, who may be Kindergarten-age-eligible but are opting for one more year of pre-Kindergarten preparation. We understand that many students and parents may desire an extra year to allow for social, emotional and academic growth before beginning Kindergarten. Through our individualized teaching approach, our 5-day Pre-K program is designed in such a way that students in these circumstances will truly benefit from an extra year while still being challenged to grow and develop. Our 3-day 4s class includes a maximum of 16 students with 3 teachers and a working parent. It meets Monday, Wednesday and Friday afternoons from 12:15 pm to 2:45 pm. All students in this class must be Kindergarten-age-eligible the following school year. Standing for Language, Literacy, Authors, Music and Artists, our Literature LLAMAS delve into the wonderful world of language and literature! They will have the opportunity to learn about a variety of literary genres including fiction & nonfiction, poetry, legends & myths, fairy tales, biographies, and so much more! The LLAMAS will study many different authors and illustrators, ranging from the classics to modern day. Music and movement are incorporated throughout all areas of study. 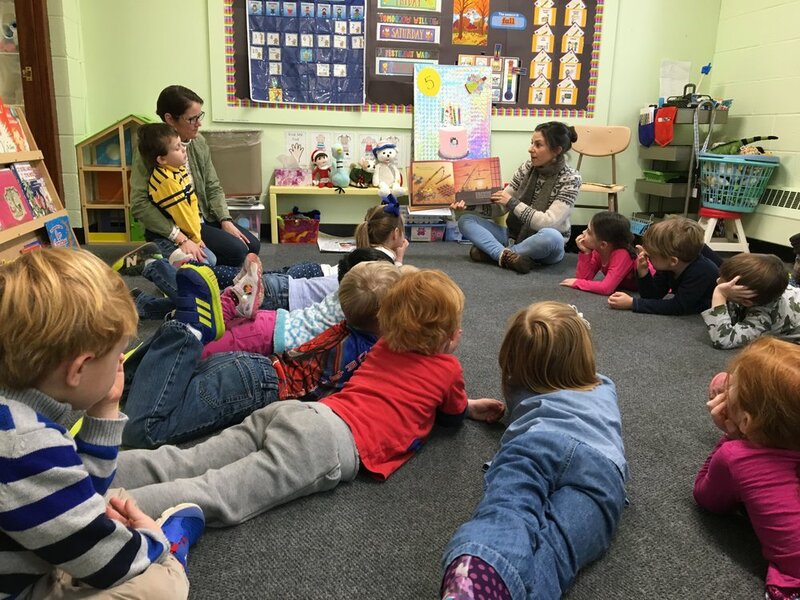 The program focuses on fostering early literacy concepts, phonemic awareness, and emergent reading skills that are integral to their Kindergarten readiness. Annually, the students in this class work collaboratively with their teachers and peers to script their own unique story line of a classic fairy tale. This script is then developed into a play that the students perform for their families! Students create the scenery as well as design the set for this play performance. A truly memorable event! The Literature LLAMAS course is a Non-Cooperative program (meaning there are no working parents) and consists of a teaching team of 2 to 3 teachers. Children in this class must be currently enrolled in either our morning Pre-K program*, afternoon 4s program or of equivalent age. This course meets Tuesdays from 12:15 pm to 2:15 pm. * For students enrolled in the 5-day morning Pre-K program, they may also enroll in Literature LLAMAs and/or STEAM Conductors. We do offer a Lunch Bunch option for these students only, where they may stay at PUNS on those days to eat lunch under the supervision of a PUNS Staff Member. Students may enroll in Lunch Bunch for both days, or only one. Enrollment will be from October through May, or students may choose to defer enrollment in Lunch Bunch until January. Pricing is as outlined below. Focused on Science, Technology, Engineering, Art and Mathematics, our STEAM Conductors embark on a weekly exploration of the world around them! They will learn to analyze and problem-solve, as well as utilize the scientific method -- a never ending cycle of hypothesis, prediction, testing and questioning. The Conductors will observe, perform experiments, collect data and draw conclusions. They will work collaboratively with their peers and teachers each week to solve challenges creatively and effectively together as a group. Course topics may include: Weather, The Human Body, Color and Light, Animal Habitats, Chemical Reactions, Measurement, Simple Machines, States of Matter, Life Cycles, and so much more! 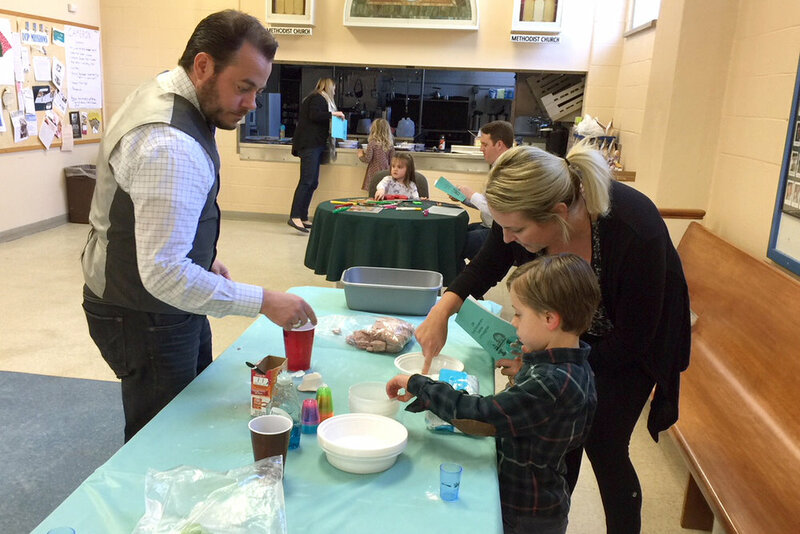 Each spring, the students and their families participate together at our annual PUNS Science Extravaganza! The Conductors lead their families on a scientific journey through ten experiment stations where they showcase their knowledge of the scientific method. A favorite each year! The STEAM Conductors course is a Non-Cooperative program (meaning there are no working parents) and consists of a teaching team of 2 to 3 teachers. Children in this class must be currently enrolled in either our morning Pre-K program*, afternoon 4s program or of equivalent age. This course meets Thursdays from 12:15 pm to 2:15 pm. Online Registration for 2019-20 will open on Saturday, Dec. 1. * You may also choose to download a registration form and return it to PUNS with your registration fee.